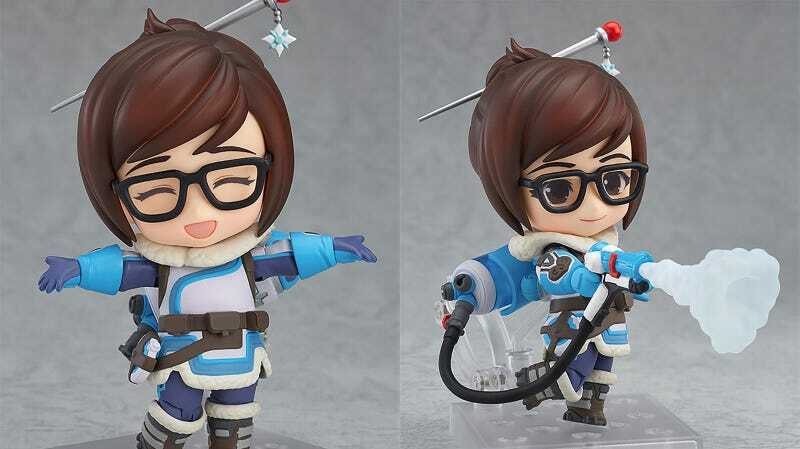 Good Smile Company’s Tracer Nendoroid now has some company: this Mei figure, who is cute as a forzen lil’ button. She’s $50, and will be out in November. Just like the Tracer one, this figure’s official name is “Nendoroid Mei: Classic Skin Edition”, so we’re surely not far off from a skin-variant bonanza on some of these things.